ToneDeF is a software engineer by profession, amateur composer by inclination. He is influenced musically by what he listens to, which consists of hard rock, hair metal, synth-pop, progressive rock/metal, new age electronic, techno/trance, and classics from the Romantic and Baroque periods. It is not unusual to hear tiny shades of professional works within his own amateur ones -- he considers it an homage to the truly talented. A guilty pleasure of ToneDeF is recreating the music of classic computer/video games utilizing modern synthesized and sampled sounds. His first submission to SoundCloud was a re-imagining of the main theme music from the classic LucasArts game, 'Ballblazer'. Although he has chosen 'ToneDeF' as his handle, rest assured that he is not actually 'tone deaf'. 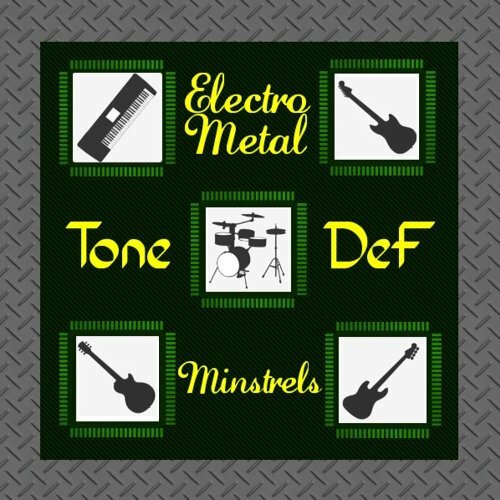 Who exactly are 'The ElectroMetal Minstrels'? They are the various synthesizers and sound modules that serve as the virtual musicians 'performing' on each track sequenced by ToneDeF. The trials, tribulations, tragedies, and triumphs of traveling alone.